Two profound and profoundly diverse artists will share the stage for an unforgettable and once-in-a-lifetime experience where the past and future ignite new realms of musical possibility. 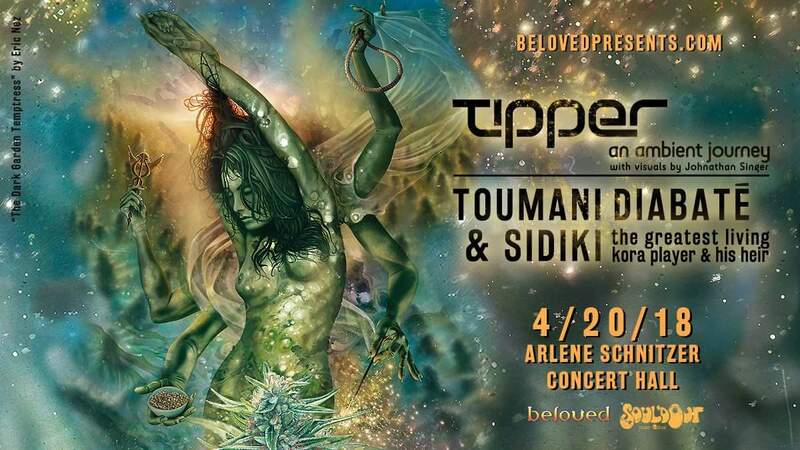 Groundbreaking electronic composer Tipper and world class father-and-son kora duo, Toumani and Sidiki Diabaté with special guest Johnathan Singer. Price Level 1 ($58.85) includes a limited edition signed archival Tipper poster with art by Eric Nez and Johnathan Singer.